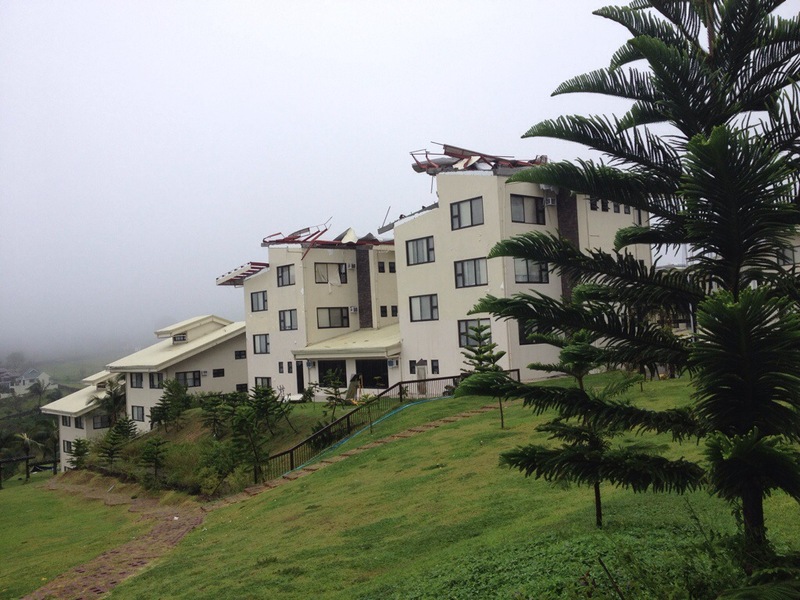 On July 16th, typhoon Glenda touched the lives of our family at CCT in Tagaytay. In the early morning hours many of us were abruptly awakened by torrential rain, howling winds, and flooding. 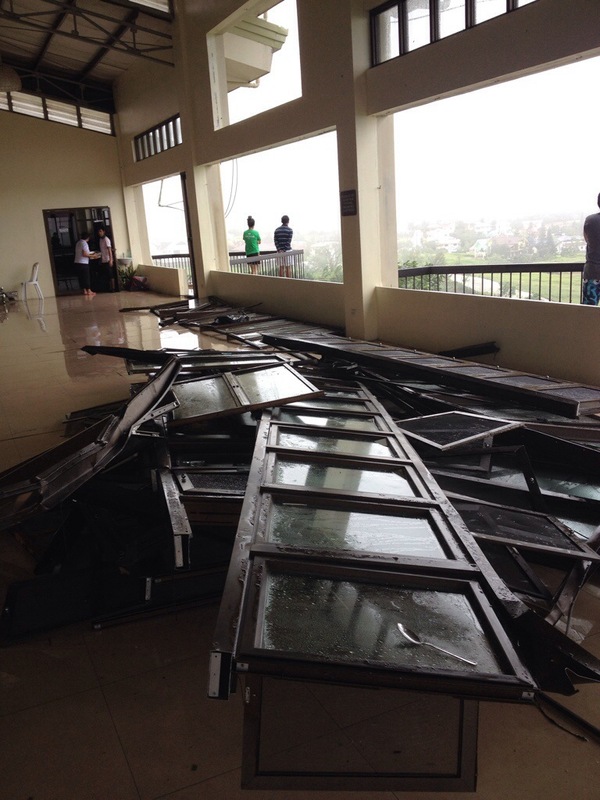 Some friends exited their rooms merely seconds before the roof was peeled away! Congregated in our respective rooming facilities my heart stayed somewhat calm as we sang together in prayer. Finally we were notified that we were in the eye of the storm. We were instructed to quickly evacuate to the main building with our belongings. I will never forget the feeling of reuniting with my GMF brothers and sisters! We shared hugs of love and concern as if we had been separated for years. 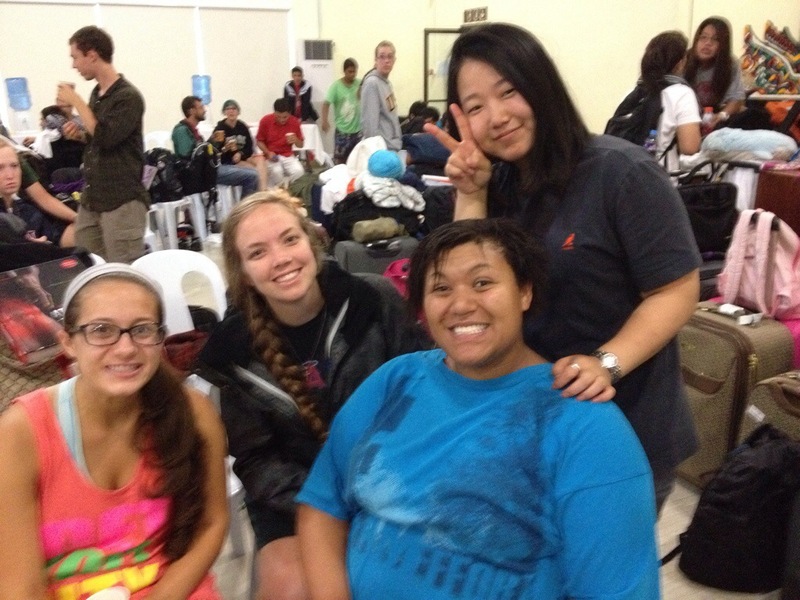 Literally hundreds of young adults had arrived that night before the brunt of the storm. We were all restless in this space with one working bathroom for all of us. But I will never forget the hospitality of the staff. They continued to provide food throughout the day, carried in rainwater to feed the toilet, and never stopped smiling. The afternoon brought the storm to a close and we were finally able to step outside for fresh air. Seeing the effects of the storm brought tears to my eyes. Roofing was peeled off and laying haphazardly on the ground. Every single window was shattered in the dining hall. And the thousands of beautifully yellow flowers had became one with the wind. This land had become a home of spiritual renewal and growth for me and many others. It had become a space for new friendships and conversation. It was hard to see the space transformed and homes nearby completely destroyed. My heart was fragile and I felt helpless! But I am reminded of Gods abounding glory. I am reminded that a space is not home, people are home and that is not something Glenda could destroy.